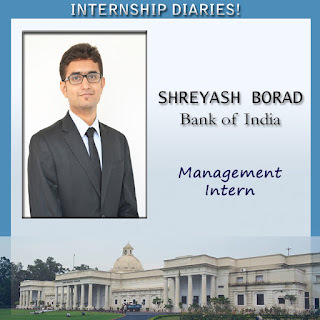 I worked on a project ‘Market survey for clean loans to working professionals’ during my summer internship at Bank of India. This is the new financial product the Bank wishes to introduce into the market so that they wanted to survey market for possible requirements of the clients. These loans are without any collateral and given to credible working professionals like doctors, charted accountants, etc. whose income are steady and sustainable. I worked under guidance of Mr. Motwani, customer relationship manager. I learned a lot from my internship regarding current trends in financial markets. It was a good experience to have.